The 2015 edition of Excited QCD will take place from 8 to 14 March 2015, 2nd week of March, in the beautiful High Tatras mountain in Slovakia. From the Slovak side, the peaks stand out from the plain in a unique scenery, one of the most beautiful in the world. The hotel Penzión Teniscentrum in Tatranska Lomnica, Slovakia will host the meeting. Excited QCD 2015 especially occurs right after the Schladming Winter School and before the St Goar Workshop. This edition is the seventh in a series of workshops that had been previously organised in Poland, Slovakia, France , Portugal and Bosnia and Herzegovina. 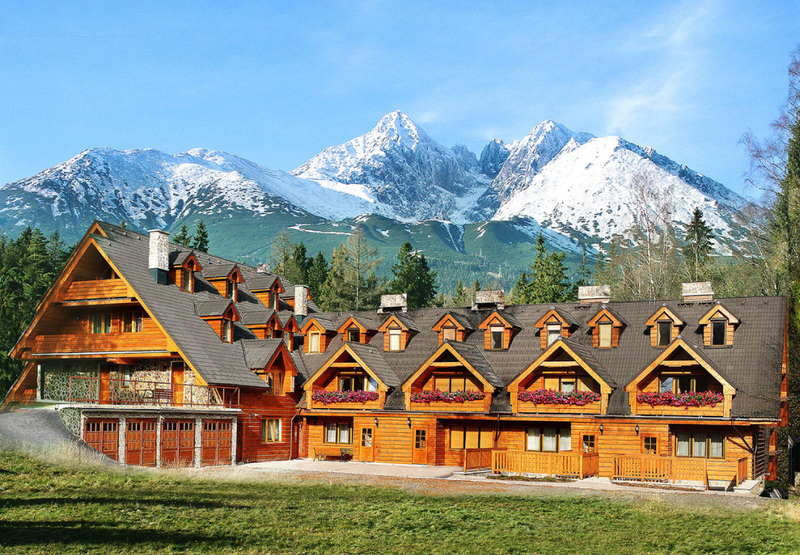 Following the succesful meeting in 2014, the Workshop returns to the beautiful High Tatras mountain range in 2015. Emphasis is placed on new developments in theory as well as the current experimental status. Scientific atmosphere, various discussions about different topics in QCD, active participation of many young researchers and a nice environment have been the main characteristics of the previous editions and also represented the goals for the new edition. The talks are all plenary, 25' long separated by 5' for discussions and with a coffee break of 30' every two or three talks for more discussions. An extended lunch break allowed for longer discussions and for inspiring open-air activities. The meeting will take place in the HIgh Tatras mounatins ate Tatranska Lomnica, 888m. The price per night at the hotel Penzión Teniscentrum, with full board (breakfast, lunch and dinner), is 53 € per person in a double room and 57 € in a single room. The hotel has an ice skating ring and tenis courts. Nearby you can find hot springs and outdoor pools in Vrbov. The ski lift (Tatranska Lomnica) is at a distance of about 300 m, and we will arrange free transport to the slopes. 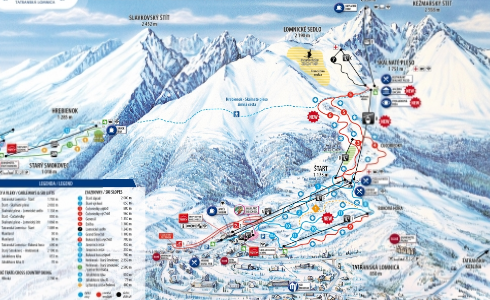 The slopes start at Lomnicke sedlo, 2196 m, and the longest slope runs 6 km downd to Tatranska Lomnica, 888 m. The same ski pass is valid on other routes nearby, for example in Strbske Pleso. We found a good discount at the ski rental of the Pension Zora Famly, a pink building half way between our hotel and the ski slopes. If you rent skis/snowboard, mention you are at the conference eQCD 2015. We were asked to, if possible, to pay for the hotel until mid-February by bank transfer. Doing it please be sure to include your name and the name of the workshop.